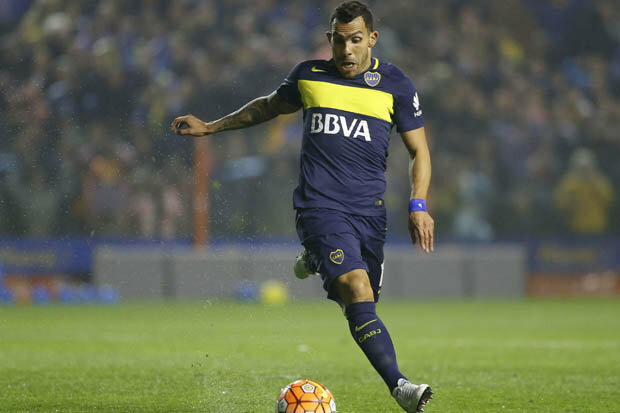 CHELSEA could launch a move for Carlos Tevez as their search for a new striker widens. New Chelsea chief Antonio Conte knows the Argentine striker well from his two seasons at Juventus, when Tevez scored 50 goals in 95 appearances at the Serie A club. Tevez’ future at Boca Juniors, who he joined last year, is in doubt and Conte is considering handing him a Premier League return.With £60m move for Real Madrid striker Alvaro Morata hitting a brick wall, Conte is prepared to offer the ex-Manchester City star a one-year deal.Tevez, 32, says he wants to stay in South America but a reunion with Conte move could yet tempt him back to England. He said: “It is true, Chelsea and Napoli want me, but I repeat what I said before. My desire is to stay with Boca until I retire.Meanwhile, Conte says there will be “no escape” if Chelsea fail to bounce back and produce success this season.The Italian has arrived at Stamford Bridge on a three-year contract under instruction to get the club back into the Champions League and challenge for the Premier League title again. Chelsea owner Roman Abramovich turned to Conte in the wake of the worst season in recent history last year.Conte has already been putting his new players them through some intense training sessions.And he has no plans to let up before the big kick-off. Conte, who arrived with his squad in Los Angeles for the start of their USA tour on Sunday, said: “As the players and manager of a great club like Chelsea, the targets are very clear – you can’t escape. “The targets are the same – to fight to win or to fight to the end to win. It’s also important that the fans see our passion. “After a week, I am very happy because I have found a great atmosphere and a great attitude between the players.”This is very, very important to have we are working very hard. “We need to transfer my idea of football and for this reason I need a bit of time.